What could be better than a heart-tugging animal epic from Megan Rix? That very same animal epic with a FREE book of huggable heroes to love! Get your double dose of brave cuties in this exclusive 2-for-1 offer. (Psst – you can’t buy the Animal Heroes mini book anywhere else!) First, The Great Fire Dogs sweeps you back to London in 1666: a place of plague, fear – and a deadly inferno. How will our brave doggy buddies survive? 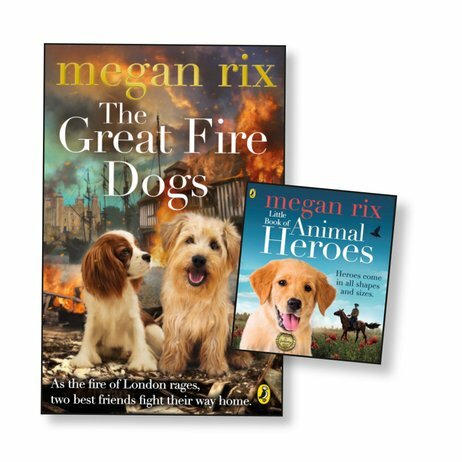 Next, in a FREE mini book you can meet fourteen real-life animal heroes: the perfect companion to Megan’s glorious fiction. Curl up and enjoy!